"A few months ago the felte label received an anonymous demo accompanied by a photo of 3 figures, faces covered like some sort of futuristic druids. To this day the label still doesn't know the group's origin, but the joy of discovering this music unimpeded renders this fact almost irrelevant. There’s a sense that the band would prefer to keep your focus on the music and not who they are, where they come from or what you might perceive them to be before hearing a single note. If you need glorious mug shots and preamble to capture your intrigue, then this is not for you. 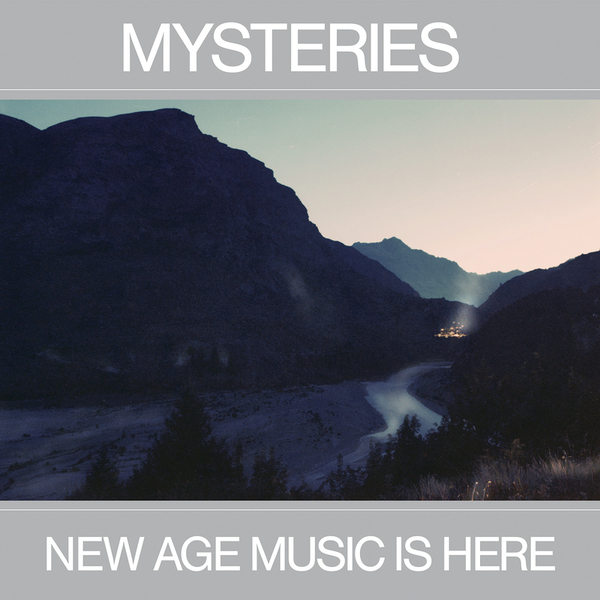 The album’s title, New Age Music is Here, could even be interpreted as a sarcastic shot at the new listening habits dictated by the constant noise all around us, but is more likely a simple invitation to engage with the music on its own terms, in its own universe. One thing is certain. New Age Music Is Here glows with exotic, crunchy, muscular, expressive pop music built around vocals and drums, rather than the big synth or guitar riffs prevalent today. Almost like a psych-rock, cyborg, 50's doo-wop Alice Coltrane if you will. Is it truly new age? We definitely haven't heard much like it."